If the people in charge on all sides of the Pacific would get their collective heads in order, they would see that there is room in this world for both Macross and Robotech. I understand that there are some legalities, but after 33 years of this, isn’t it past time for everyone to get on with it. I’ve been a fan since the original airing, and as anyone who has seen any of my 3D art over the decades, from the old Disciples of Zor Robotech forums to the Robotech.com forums to my youtube page, knows that I’m a diehard fan. I even made my own video game back in the mid 2000’s called The Masters Assault. There is so much wasted potential with this series it’s sickening. I say, Robotech needs to pursue small goals first, like they have been recently. The comics, the board and card games are great starts. I’ve enjoyed them all. The miniatures that MAAS Toys could be great. I don’t know for sure, but I knew the guy in charge when he operated a toy shop in Vancouver about a decade ago. He was also a toy maker and was able to make some amazing custom Transformers, so he knows what he’s talking about. My fear is that the prices for these new toys could be high. But if these can be made on a reasonable budget for a reasonable price, they can build on that. Battlecry was a moderate success back in the day, and I think if they approached their video games with the same care that was taken there, they could have a successful new animated series as well, perhaps in the same vein as the new Voltron series. Shorter seasons, but still fun. I, like many here, have been a fan since I was introduced to this in the 80s. And when I became old enough to have my own disposable income I was the type of person that would buy anything if it related to Robotech. One of the most ridiculous things I own is a Zippo with a Robotech image glued to it. I’ve since been much better about what I purchase but I’ve tried to support all attempts to revitalize Robotech. Loving the current comics, but it’s not enough. 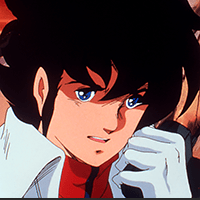 I just became a daddy, dreamt about this my whole life, and sharing Robotech with my son has been part of my plan that whole time, but despite the fact that the animation now is so dated and I’m not sure by the time he’s old enough to watch and understand he’ll be able to sit through it; If he does enjoy it I fear he’ll ask the inevitable question… Dad, it’s been 40+ years and there’s nothing really new? 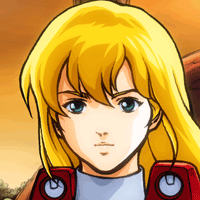 I thought Academy was going to potentially lead to a new series which could effectively separate Robotech from the legal issues surrounding the original shows. But the decision to try to fund it via Kickstarter after the handling of RRT was shortsighted at best. There was too much anger at Robotech on Kickstarter at that time. Had it been run at the same time, it probably would’ve funded a few times over. The LAM is a sham, it’s like no one really cares. Robotech, I love you, but it’s like visiting the cemetery waiting for you to return…unfortunately what I keep getting is a zombie. And if the last legal proceedings are any indication, Robotech as we know it will basically cease to exist in 2021 if i remember correctly. Then all we’ll have is the novels, and any previously purchased video. Woo hoo got my BETAs!!! It hurts me the way they treated the franchise, I’m very sorry about the current situation. I was delighted and excited when I heard about SHADOW RISING, after not seeing anything disappointed me, then when they announce ACADEMY my hopes returned, but when I failed I went back into depression. HarmonyGold does nothing new for the franchise nothing new to attract new fans to a new generation of fans, HG stayed in the 80 ‘. they take out pure antics and nonsense like t-shirts, toys, board games and trash after trash. ROBOTECH I should sell the franchise to another company, to a company that really works, that has money and a lot of love. I want more animation from ROBOTECH, the live action movie for me is not the important thing. I hear you man. I tried getting my sons into watching it with me and they just have no interest. Same with the transformers too. IDK if it’s the animation or the fact RT isn’t popular right now, but they just take a pass when I put it on.